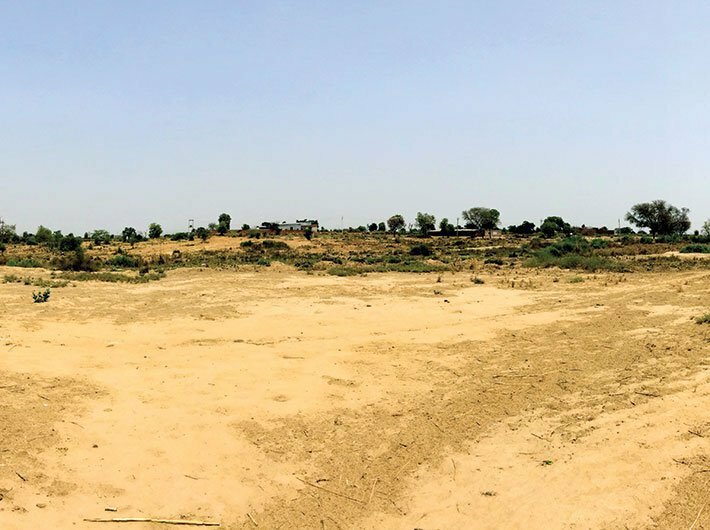 An ambitious scheme to provide Soil Health Cards for 14 crore land holdings spread across the country seems to be moving at a painfully slow pace. Prime minister Narendra Modi on August 21 reviewed the progress and he was informed that 16 States/UTs have completed the first cycle of Soil Health Cards distribution, and the remaining states are likely to complete the same within weeks. A PIB release, however, did not give the latest figures of the Soil Health Cards that have been distributed. The Soil Health Cards scheme was launched in February 2015 and figures show that in the past two years, not even half of the targeted land holdings have been covered. Parshottam Rupala, minister of state in the ministry of agriculture and farmers welfare, told the Lok Sabha in March 2017 that “against target of 14 crore Soil Health Cards 5.53 crore cards have been distributed to farmers”. “The government has introduced Soil Health Card Scheme in all States/UTs including Maharashtra with an aim to assist state governments to evaluate fertility in all farm holding and issue soil health cards to farmers regularly in a cycle of 2 years. Soil health cards provide information to farmers on nutrient status of their soil along with recommendations on appropriate dosage of nutrients to be applied for improving soil health and its fertility. Against the target of 2.53 crore soil samples, the states have collected 2.69 Crore samples and tested 2.01 crore samples,” said Rupala. The Soil Health Card numbers don’t seem to be adding up. According to the department of agriculture, cooperation & farmers welfare, as many as 2,44,91,778 samples have been collected, 1,66,69,155 samples have been tested and 4,84,19,516 SHCs have been printed. The dashboard shows that till now 4,72,77,794 have been dispatched. Parliament has been informed that a study conducted by National Productivity Council (NPC) in 2016 has shown that 84 percent of farmers have expressed that the information on soil status & nutrients recommendations have proven to be beneficial to them in reducing the cost of cultivation and improving productivity of crops. The Soil Health Cards provide farmers with recommendations on appropriate dosage of nutrients to be applied for cultivation of various crops along with soil amendments. Nationally agreed norms / standards of 10 hectares for rainfed areas and 2.5 hectare for irrigated areas will be the grid for soil sample collection. A total of around 2.53 crore samples will be collected and tested to generate 14 crore soil health cards to individual farm land holdings. The Soil Health Cards are important for the country as agriculture and allied activities contribute an estimated 30 percent to the gross domestic product of India. Union Agriculture Minister Radha Mohan Singh had said in 2015 that this initiative would create a golden opportunity by improving productivity. This will contribute significantly to ensuring food security of the country. The Soil Health Card scheme is modeled on a successful programme launched by Modi during his tenure as chief minister of Gujarat, where over 100 soil laboratories were set up.